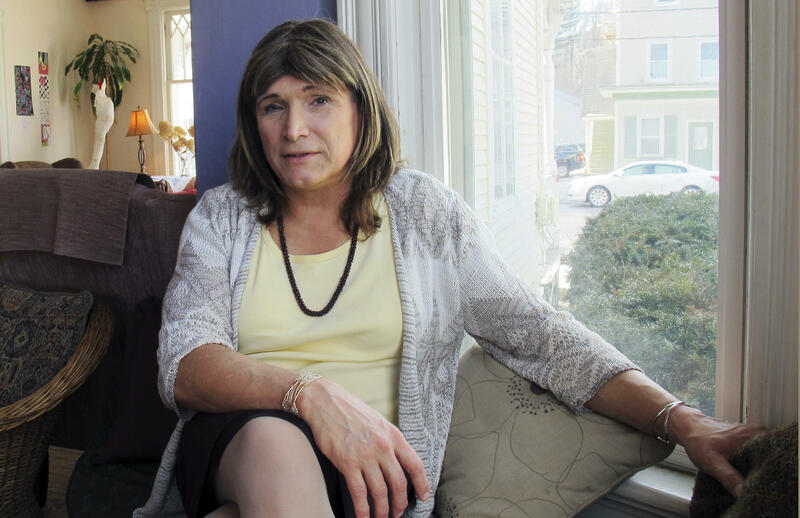 Vermont made history Tuesday night, with Christine Hallquist, a transgender candidate, winning the Democratic primary in the race for governor. Hallquist will face Republican Gov. Phil Scott, who held off his challenger despite backlash from his own base over gun restrictions he signed into law earlier this year. If Hallquist is successful in November, she would become the nation's first transgender governor from a major political party. Hallquist, 62, defeated three other Democrats. Her platform included higher-paying jobs for Vermont residents, health care for their families and better education for their children. She took to Twitter late Tuesday night to thank supporters, writing "this is Vermont's victory!" On to November! Thank you all for your support - this is Vermont's victory! Earlier Tuesday, Hallquist was interviewed on CBSN's "Red & Blue" with Elaine Quijano, and said "it will be historic for the nation" if she were to be nominated. "I'm proud to be the person to help the nation widen its moral compass," she added. "Vermonters are going to elect me for what I'm going to do for Vermont." "Vermont has always been a leader in civil rights," she said. "We have some of the best transgender protection laws in the country. It's a state that's really welcomed me with open arms." Hallquist, a former electric company executive at Vermont Electric Co-op, has said that she is running for governor based on her managerial ability and with a progressive campaign that focuses on economic development for rural Vermont. In her interview, Hallquist said she "has a long vision for Vermont" and wants to make internet access available to everyone. "I will connect everyone and every business with fiber optic cables so every Vermonter can be connected to the internet," Hallquist said. "What we're seeing in rural Vermont and rural America is the same thing that happened in the 1930s ... when the cities had electricity, rural America did not. Sixty percent of the land mass in Vermont can't connect to the Internet -- and it's so critical for business." Hallquist also spoke about health care and her economic agenda during her CBSN interview. "Let's stop making profits on people sick and dying. Let's approve Medicare for All. Let's get people to a living wage. There's been a systematic attack on the working class for over 30 years now. And so we've got to change this." The Associated Press reports that she had won support from The Victory Fund, a political action committee that backs LGBTQ candidates. They have called her a "game changer." The Victory Fund's president and CEO also took to Twitter on Tuesday night to congratulate Hallquist. "Christine's victory is a defining moment in the movement for trans equality and is especially remarkable given how few out trans elected officials there are at any level of government," Annise Parker wrote. Watch more of Christine Hallquist's interview on CBSN's "Red & Blue" by clicking here.